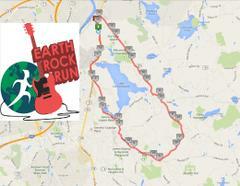 The Earth, Rock and Roll Marathon and Half-Marathon will be held Sunday 4/27/14 between the hours of 8am and 3pm, in North Andover. The following roads will be impacted and expect delays. Rt. 125 at the Haverhill border to Prescott St, Osgood St, Stevens St, Pleasant St, Marbleridge Rd, Salem St, Foster St, Winter St, South Bradford St, Great Pond Rd, and Bradford St. Most of the roads will remain opn during the race, however motorists and residents on these roads should expect delays. Please use caution and follow road markings and Police Officers posted on the route.